All eyes on Asia, a growing market for Monaco, of which China is an important part. So it makes sense that APM jewellers, located in the Metropole in Monaco, would target China in creative ways – and the world of skiing is a launch-pad to have their brand’s reputation spread into Hong Kong and onto the Chinese mainland. Did you know that Hong Kong has a ski-team? 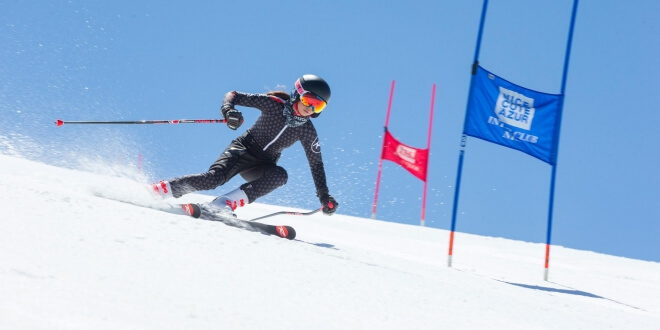 And on that ski-team is 13-year-old Chloe Cornu Wong who is a licensed member of InterClub Nice. APM has been sponsoring Chloe for four years now and the association is obviously bearing fruit. A recent photo-shoot with Chloe as an ambassador of their brand is just part of Chloe’s bright future. Chloe has dreams to be at the Winter Olympics 2022 as part of the Hong Kong ski team. And APM and Rossignol and Club Med, who are all sponsors, are looking for big things from her. And Chloe is more than happy to oblige, which we are sure brings pride to her parents’ hearts.